The Snellen Test Card was devised by Dr. Herman Snellen. a Dutch ophthalmologist, who died in 1908. It was designed as a routine test of visual acuity-	The largest letter should be easily read at two hundred feet by a normal eye, and the smallest letters at ten feet. Many can read the small letters at even twenty feet. There are those who do not feel the need of spectacles and yet cannot read even the forty-foot line at ten feet. The explanation of this, perhaps, is that their eyes falter when called upon to do something which is unusual. I have seen cards, offered as test cards, which would almost make one believe they were arranged with a deliberate purpose of making it harder to read the letters. The combinations are remarkable, but more unfair, the letters are so closely packed that there is not enough white space around them to give the eyes a necessary contrast. Dr. Bates found a new use for the Snellen Card. When the letters are properly arranged, it is a great help and encouragement to the eye in an effort to recover the normal power of vision. Care is required in the approach that is made. Dr. Bates tells of a boy who could not see the large figures on a clock in the classroom, nor even see large writing on the board, who promptly read the ten-foot line at ten feet, and then was able to see the clock and the board which he could not see a few minutes before. A patient of his, a physician who had worn glasses for near-sightedness for many years, and had improved by the method Dr. Bates had taught him, until he had telescopic vision, retained and improved his power of sight by the simple practice of reviewing the letters on the Snellen Card every day. Consequent upon a protracted discussion between Dr. Bates and some skeptical ophthalmologists in a meeting of a New York society, which was followed by another such dis cussion before a different New York City society of ophthalmologists, the Board of Education of New York City asked Dr. Bates to consult with them. The outcome of that consultation was that Snellen Cards were hung in the class rooms of the public schools. It was found, during the several years that the cards were in use, there was a great general improvement in the eyes of the children. Dr. Bates gives the figures. There was a constant undercurrent of opposition however, to the use of the card, and Dr. Bates writes that finally on the insistence of some physicians, the card was removed from the school rooms. Of course no doctor would admit responsibility for such a proceeding. How could the presence o€ the standard test card, in plain sight, have any unfavorable effect on the eyes of growing children? It is a matter of record however, that it was there for several years, and ultimately it was eliminated. During ten years, I have learned the value of it, as a special opportunity, and as a routine practice. I have taken many children who had been unable, during an examination, to read the fifty-foot line at ten feet, and enabled them in half an hour to read three or four lines which at first they could not see. Although all reading involves seeing letters, the mind very soon learns to see in terms of words. The letters are not consciously scanned. The words are recognized so much quicker than thought, that the conscious mind pays little attention to the letters. But the memory of all the letters is the foundation of the consciousness of the words. This familiarity is the foundation of the value of the Snellen Test Card in practicing to improve the vision. The interested attention arouses the co-operation of the mind. I have demonstrated this many times. A patient looks at a letter but cannot see it. I direct the drawing, mentally with the eyes closed, of the lines of the letter. Make believe that you are drawing a perpendicular line; across the top draw a horizontal line, shorter, with a small part to the left and the remainder to the right; at the right hand end drop a very short perpendicular. Draw a shorter line to the right from the middle of the first perpendicular. Draw a short line across the bottom of the perpendicular. Repeat the drawing six or ten times, still with the eyes closed. Now open the eyes and look at the F.	Often it is plain at once. Always it becomes clear very soon. Knowing the letter you are looking at, but do not see, draw the letter mentally, several times and very deliberately, then open the eyes. Repeat this procedure until you see the letter when you look at it. If the mind really is interested, the consciousness of any first failure is lost in the objective attitude that absorbs the mind, the tension is relaxed, and the visual center recovers its normal function. The straining ceases, the rays of light are properly received, and sight becomes normal. Whether or not my explanation is correct, it is true that many times I have watched the above expedient enable a patient to see clearly, one letter after another, which a few minutes before, the patient could not see. Often enough, when the letter in the mind becomes clear, the whole line of letters flashes vividly on the sight. It may happen that the picture will fade, and the dimness of sight will return; or the clearness of that line may be permanent at once. Sooner or later, the power of the eyes returns and the patient can read all the letters on the card at the given distance. That normal vision almost always remains permanently. Sometimes it falters again, because of neglect of the learned habit of using the eyes correctly, or because of mental stress depressing the mechanism of vision. Any such recurrence can always be relieved, if the patient is willing to take charge of the situation. To one who has no other idea about the mechanism of vision than the current attitude toward it, such conduct of the eyes seems incredible. One who has never given the subject any deliberate thought, but has simply accepted the carefully nurtured representation that any abnormal conduct of the eye implies an absolute loss of its power, has no foundation in the mind for the imagination to work with. There is commonly an incredulity. One does not believe something which is different from what one seems to see as natural behavior. The prevalent attitude of mind is that there is nothing to do for a faltering eye but ignore its own power, and put on spectacles. But why not remember that the great mass, still and yet, continues to get along without glasses, under the same environment and conditions? Why not ask why and how so many experience some difficulties, but get over them without outside help, and numbers of others, young and old, wear glasses for a time, and then discard them permanently? When one has seen many cases of impaired vision, in adults as well as in children, recover normal sight, and retain it, 1y simply giving to the eye itself an earnest attention, one gradually learns to realize the causes for the condition, and the reasons for the cure. These eyes of ours have been developing so long, under environment which has meant necessity for power and adaptation, that they have inherent qualities and versatility to which we are thoughtlessly and stupidly indifferent. When life and happiness depend upon good vis. ion, and there is no knowledge of such an artificial help as a piece of glass, the vision remains as strong and reliable as is necessary – it adapts itself to the burning sands of the Sahara, or the ice fields of the Arctic, or the far distances of the ocean or the plains. The claim that vision has not evolved to meet the requirements of modern complexities is preposterous. Many millions of eyes are cheerfully and satisfactorily Contradicting such a pronunciamento by doing all the things that such a claim would have us believe it is not possible or natural to do. 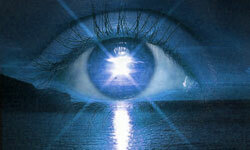 In most of the cases where the eye is failing, its natural power is very near the surface, ready for normal action. Half an hour will rouse its dormant functions, and the marvelous mechanism of vision will give a startling demonstration of how easy it is to have as good sight as those around us, if only we care to take the trouble to use what is born in us, and still is ready, if only we command it. Snellen Test Cards can be secured through a bookseller. Optical supply houses used to sell them, but several I know of have refused to do so, under the excuse that they should be used only under orders from a physician or optometrist, and can be had from them. There are a number of different techniques or practices, and some are more satisfactory with a given patient than others. The simplest practice is always good, either for a beginning, or to use as a daily routine for a longer period of time. It is called FLASHING, because one looks at each letter only once, and practices on all or most of the letters on the card one after the other, during each period. Seated comfortably, with the card in a good light and about ten feet from the eyes, blink softly and with a regular rhythm at a tiny spot on the letter being used, quietly ignoring every other spot on the card. Having blinked automatically for twenty or thirty seconds, close the eyes for twenty or thirty seconds, but do not allow the mind to think of anything other than the specific spot on that letter. When the eyes are opened, select a spot on the next letter, and repeat the same procedure, letter after letter. Do not forget that the purpose is to relax the mind, and the eyes, and all the muscles of the body, and if this condition is not produced, analyze the situation deliberately, and ascertain what it is in your technique that is preventing, instead of helping you relax. Sometimes during the first period of practice one will get a proof of relaxation in the appearance, while the eyes are closed, of the letter one was blinking at. Generally, that vision does not appear until one has repeated the practice a few times, either at one sitting, or at some other time. When the letter is seen, it will be in white, not black, and if the card is seen, it will be black, not white. In later practice, when more relaxed, the real colors will he seen at first, but they will gradually fade into the reverse. In further practice, it will generally happen that the letter will be present a few seconds and fade, and then return, while the mind waits in confidence, perhaps two or three times. As the practice is perfected, it will develop that four or five lines will appear, as vivid as a fine Neon light. These are after-images, and indicate an impression made on the mind so strongly that it remains intense enough to prevent other impressions from being per- ceived. This is because the mind is alert and interested, and free from any abnormal tension. When these results have been secured, it will always be found that the vision has been improved. The daily practice of flashing the card is a very fine help in securing and retaining good normal vision. It is a good practice to select some large letter, and to blink at a tiny angle on it for half a minute, and then close the eyes and keep in mind the spot that was blinked at. Continue that specific practice of blinking and then closing the eyes, for fifteen or thirty minutes. There are several practices which encourage particularly the imagination. Sitting so that the letter D on the fourth line of the Snellen Card is seen clearly, blink rhythmically at a small spot in the white circle inside the letter, and make believe the tiny spot seems whiter than the white card. Close the eyes, and keep the mind thinking of the make-believe tiny white period. After this alternating practice has continued for twenty minutes, the white circle will appear to be a raised disk, whiter than the card itself. After a few such practices, that white circle will appear whiter, and raised above the rest of the card, whenever it is looked at, and whenever it is seen in that way, the vision will be good. Using the lower curve of the big C in the same way, make believe there is a tiny period at some spot on the curve, which is blacker than the rest of the letter. If it is found difficult to make such a spot appear, put one on with black ink, and work with it. The blackness of the new ink will soon be lost, but the memory of it will have the effect of continuing the appearance, and it will be found that such a tiny spot can always be seen when the letter is looked at — just as we can recall the memory of any other impression made strongly enough on the mind. It may serve as an even better introduction, to put a tiny black period on the white card, just under the center of the lower curve of the C, and blink at it in the same way. When properly done, the proof of relaxation will soon appear in a vivid picture of the letter C, seen when the eyes are closed. It will be found then, that the other letters looked at will be clearer in outline. It is a good practice to blink consistently at the card, just under a letter, and pay no attention to the letter itself. It is not possible to strain to see a white card, and when the mind is kept attentive to a spot on the card, it ceases to try to see. The letter above the spot will soon appear and become clearer to the sight, even though the eye is not paying attention to it. The relaxation produced has again made the mind more receptive, and more conscious of the impression made by the rays reflected from the letter. A very good technique, more especially, perhaps, for near-sightedness, is to place the card near enough to the eyes, so that a line of letters which cannot be seen at the distance set for normal eyes is easily seen, and then blink at the letters, or under them, one after another, for twenty or thirty minutes. Because is it not necessary to try to see them, the continued attention to them quiets and relaxes the eye, and the vision improves. It will be found that soon the card can be moved progressively farther from the eyes, and the letters will still be seen clearly at a distance where, at first, they could not be seen at all. If the large card is placed ten feet from the eyes, and the duplicate card with smaller letters is placed near the eyes, it is a good practice to blink at the C on the small card, which is marked to be seen at fifty feet, and then blink at the large C which is ten feet away. Each letter is easy to see. The eyes relax, the vision improves, the mind is con- fident, and the smaller letters on the large card, which could not be seen previously, will gradually show clearly. During the deliberate, confident and earnest practice of an hour, it has frequently happened that eyes which could not read the seventy-foot line at ten feet, will improve sufficiently to read the thirty- or twenty-foot line without any difficulty. This is not an idle theory-it is a fact demonstrated repeatedly. As a unique technique which is sometimes very gratifying, one may put a heavy black ink period on the thumb nail, and place the large C ten feet from the eyes. Blink softly at the ink period while holding it as near the eyes as it can be seen clearly. Alternate by blinking with the same rhythm at a small spot on the big C ten feet away. Soon it will be found that the thumb can be brought nearer to the eyes, and the period seen just as clearly. Occupied continuously with the interesting game, which consists of a practice in accommodating the eyes from the nearest possible distance, to the card at ten feet, one will find that the eyes gradually can be lowered on the card, and see clearly, letters which, at first, could not be seen at all. If the interest is sustained by an earnest desire* an hour will pass quickly at this practice. If the light is good, and one is careful not to try to see any letters which are not clear, in an hour a degree of relaxation will develop that will show a most gratifying improvement in vision. Another method is to close the eyes for fifteen or twenty minutes, and imagine that there is a specific feeling of restfulness and lethargy in the different muscles of the body – putting the mind on the muscles of the neck, and then on the Muscle on the front of each arm, and then on the muscles of the legs. Then open the eyes and look at a small section of some large letter on the Snellen Card, and make believe that section is blacker than the rest of the letter. Continue to look at it, blinking softly occasionally, for thirty or forty seconds; then close the eyes and keep the mind on that portion of the letter, remembering the idea that it was blacker than the rest of the letter. After practicing in such fashion for a few minutes on that particular spot, select a different spot, and repeat the procedure. Although this is only a game, it involves the keen attention of the mind; there must not be the least concern or tension. The visual center is being called upon, in a normal way, to function as the mind directs. When the eyes again are closed the deeper impressions, made because of the alert attention of the faculties, are brought to the attention of the mind in what are called afterimages. The effect of such a practice is to stimulate the mechanism of vision into a better function. The vision is improved. All the letters on the card are seen more clearly. If someone will swing the card back and forth in a short range, while the patient looks straight ahead and pays attention to only one small letter as it crosses the line of vision, it will be easy to learn to imagine that letter moving, as it was seen, when the eyes are closed. When one can imagine a small letter, moving back and forth in a short range, it will be found that the eyes are relaxed and the sight is improved. Half an hour devoted to that practice will be sure to give most satisfactory results. A good practice, previously described, is to swing the head in a short range back and forth, across a small letter near the eyes, which then appears to be moving in a direction op posite to the motion of the head. Soon it will be possible to imagine that the letter is moving, while the head is still, and the eyes are open and looking at it. It will also be possible to hold the head still, and keep the eyes closed, and imagine the letter moving in the same direction that it seemed to be moving when the eyes were open. One must lose all thought of the eyes, and occupy the mind with the technique, in the same objective way that one gives an impersonal attention to any piece of work, or pleasure, or technique in which one is actively interested. When one is interested, and has comprehended the mechanism which is involved in these practices, other techniques may be devised that are helpful to their own way of thinking. It must be remembered however, that any effort to imagine a picture which is unnatural, will produce an abnormal reaction in the automatic functioning of the mechanism of vision. There are many objects which will serve as the subject of such practices as i have described. Some of these will be suggested in another chapter. But the life-long familiarity of the mind with letters, and the fact that the mind is working with them, and dependent upon them all day long, are reasons why they facilitate, better perhaps than any other objective opportunity, whatever effort is being made to encourage the mechanism of vision to correct the dysfunctions which may be present, and to insist upon the recovery of normal sight.